Every three months, I like to sit down, zoom out from daily issues, and focus on the big picture. I like to write down the things I want to achieve, and to find out what is really important to me. This three month schedule is ideal, as it is not too long so that I lose focus, nor is it too short for it to feel daunting and boring. I started this practice 2 years ago, and it helped me immensely so far. From getting better at my job, to losing weight and returning to practice martial arts. A part of this schedule is my New Year’s resolution, where I try to focus on the most basic things, and come up with changes that will have the biggest impact on my life. These are usually the hardest to implement, and require a substantial lifestyle adjustment. 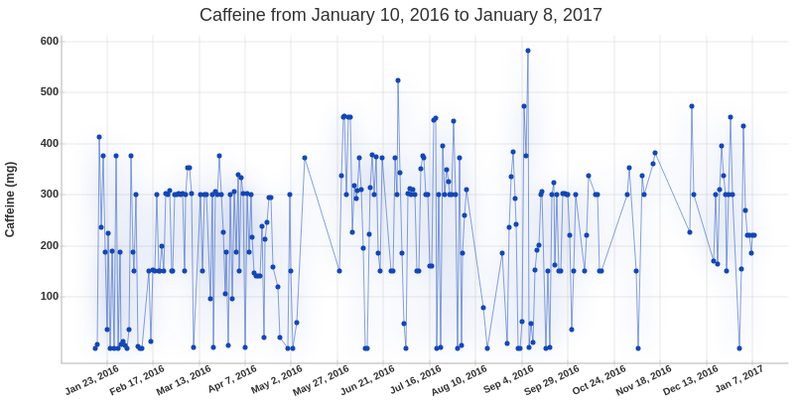 One of my goals this year is to fight my caffeine addiction and improve my sleep quality. Why is better sleep important? I never had a good sleep etiquette. Even when I was really young, I was usually up till 1am watching cartoons or doing my homework. This was not such a big issue when I was younger because I could usually sleep in every morning. However, as I got older this balance was ruined. I had to realize the sad truth that this world is optimized for early birds — people who can wake up before 7am and be full of energy. I hit the bottom last year. I waked up at 8am every morning, and got back from working out at 11pm just to binge watch YouTube till 1:30am. Sleeping less than 7 hours on average per day. To many people, this doesn’t sound like a big issue. “Just go to sleep earlier” they say. Unfortunately, this is not so simple. Even if I go to sleep earlier, most of the time I will just lay in the bed, turning around, failing to fall asleep. Even if I fall asleep earlier I will just wake up in the middle of the night. Going to sleep earlier is not a good enough solution for me. I must find the root cause of the issue. I spend most of my Sundays resting and staying in the bed longer than usual. Which in turn makes me not sleepy when the night falls. Then my alarm wakes me up at 8am, and I spend most of day craving for sleep, drinking 4 to 5 cups of coffee to keep myself awake. This overconsumption of coffee makes me too hyper to fall asleep the next day too, and I repeat the same cycle on Tuesdays. Even more tired, drinking even more coffee. Finally, On Wednesday my system collapses, my head hurts, and my productivity plummets. I go to sleep as soon as I get back from work and wake up in the middle of the night, making my sleep cycle even more out of balance. Due to lack of sleep, my anxiety grows, and that again prevents me to sleep well. I end up skipping the gym that week because I am too tired. Which makes my anxiety worse, which makes my sleep worse… And this vicious cycle continues, week after week, month after month. I always make up the lost sleep during the weekend somehow, but it took me far too long to realize that I have an issue with sleep. I need to invest concious effort to improve this part of my life. How I plan to tackle this issue? To be honest, I already started working on this issue in December, and I can already feel the positive effects. My focus has improved, and I already feel that I have more positive energy during the day. The only proven way in which I can improve something in my life is to track, measure and retrospect. So I started with tracking my sleep quality. A simple journal where I write down how much have I slept during the night. By doing this, I can experiment with various approaches, and find the most optimal solution. My plan is to reduce my caffeine intake to around 100mg per day. This should allow me to drink one cup of coffee per day, or two cups of green tea per day. My research on the internet tells me that a cup of coffee has an effect on my body for around six hours. This made me limit the period of caffeine consumption. I started only drinking coffee in the morning. In the afternoon I only drink hibiscus or camomile tea. I usually keep my phone/tablet near my bed and I fall asleep by browsing, reading emails, and watching YouTube. At worst, this can keep me up for hours. Instead of this, I now start my sleep ritual by doing some basic stretches, drinking a cup of camomile tea, and instead of the internet I try to read books. I found this practice very rewarding. The stretches relax my muscles, the tea relaxes nerves, and a book makes me fall asleep much faster then a YouTube video. I have a very good situation that I work in an industry where flexible work hours are the norm. There is absolutely no need to force myself to wake up at 8am. No one will appreciate it if I come to work at 8:30am with baggy eyes, groggy, unproductive, and resonating with an unpleasant “leave me alone” aura. From my estimates, I think I can wake up naturally without an alarm around 9am. So I decided to set my alarm clock to 10am. This will hopefully enable me to wake up without an alarm, but I will still have a safety net to avoid sleeping till noon. The biggest change I have to do is to recognize the importance of sleep. This means that I’ll need to avoid programming after 11pm, to avoid Facebook chatting till 2am, going to a jog at 11pm. Things that I have regularly done last year. At least eight hours of sleep every day. Sleep was always one of the major issues in my life, that often prevented me to fully enjoy my days. Hopefully, by making a concious effort to improve it, I will improve not only my health and social life, but also my work productivity. This is my first attempt ever to improve my sleep ritual. I’ll probably make a lot of mistakes on the way. If you have any good tips or tricks, or if you have a similar issue please leave a comment in the comment section bellow. Any help will be appreciated. Cheers for a good night of sleep!